After an exciting major championship last week, the European Tour heads over to Germany for the BMW International Open. Historically it has been one of the biggest events on the European Tour calendar and this year is no different with Martin Kaymer and Henrik Stenson both competing. Last year’s winner, Fabrizio Zanotti is also playing and after a return to form, he’ll be looking to defend his title. 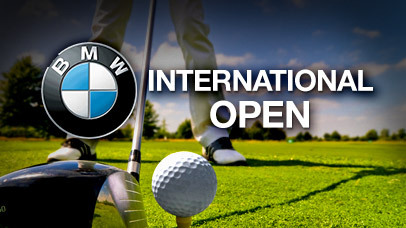 GolfClub Munchen Eichenried last hosted the BMW International Open in 2013 and it is back this year. The course was founded in 1989 and designed by Kurt Robknecht. It is one of the easier courses on the European Tour schedule, and therefore birdies are imperative in Germany, this week. It is a par 72 that will play around 7,200 yards, which isn’t particularly long nowadays, but the fairways are treelined. This indicating that there is a premium on driving accuracy and many of the previous winners are accurate drivers of the ball. Therefore we have two things to look out for this week, driving accuracy and those players that can shoot the low scores required to win this event. Gary Stal – Frenchman, Gary Stal is now one of the better players on the European Tour, he recorded six top 25 finishes last year. This season, Stal has performed even better, winning once and recording three other top tens. One of those top tens came in his last outing in the Lyoness Open, this indicating that his game is in great shape. This week’s venue should suit Gary Stal’s game, he shot two rounds of 68 the last time he played here and he’s a relatively accurate driver of the ball. Finally he proved earlier in the year that he can shoot the low scores required to win this event, Stal won the Abu Dhabi Golf Championship by shooting 19 under par. Richard Green – Richard Green is a three time winner on the European Tour and he has another win in him in my opinion. He’s having another excellent season, the Aussie has made the cut in nine of the ten events he’s played in and has only finished outside the top 30 on three occasions. Green has played this week’s venue on numerous occasions and he has produced some very good performances. His best results came relatively recently, he’s finished 9th and 12th, this suggesting that he can play some great golf around this track. Felipe Aguilar – I couldn’t ignore Felipe Aguilar this week, he’s a two time European Tour winner and has been extremely consistent this year. Felipe has competed in 13 events and has only missed two cuts. This week’s venue, Golfclub Munchen Eichenried, suits Aguilar’s game, he’s an accurate driver of the ball, which is beneficial. Aguilar can also shoot the low scores required to win this event, last year he shot 22 under par to win the Championship at Laguna National. Finally the Chilean’s course form is excellent, he’s finished 4th and 14th around this week’s venue.